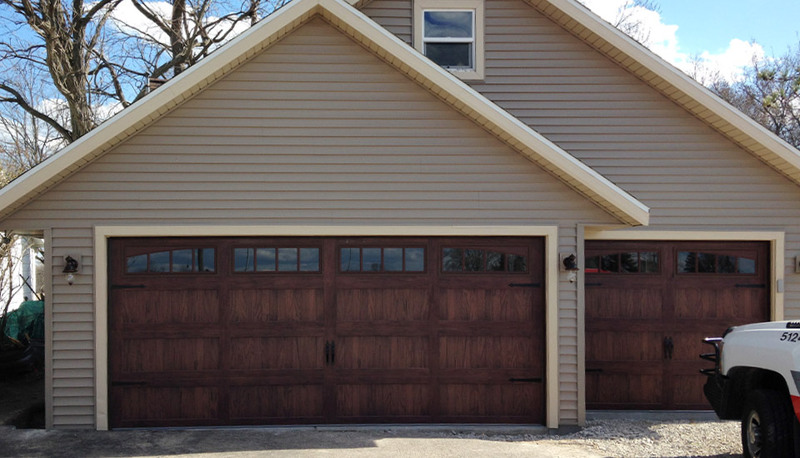 Our clients in the Town of Summit contacted us when they were ready to replace their old entryway and shed with a new, custom garage! 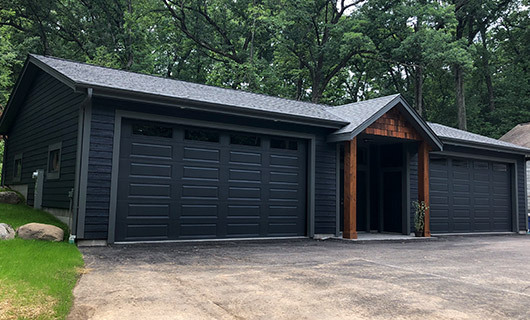 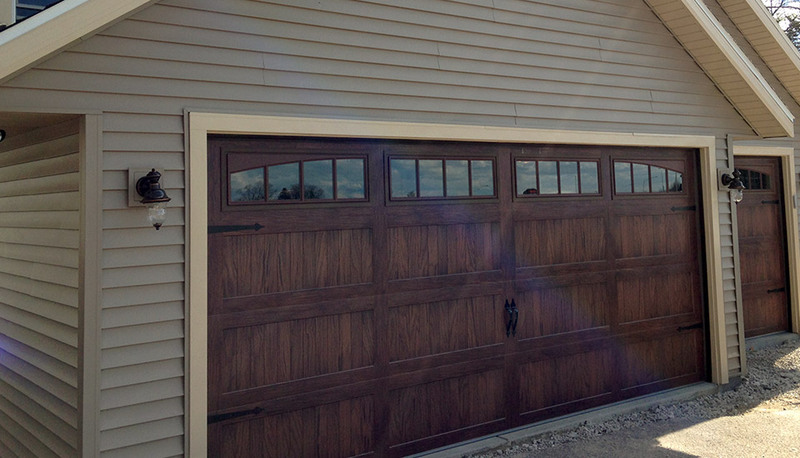 We demolished the existing structures and built a brand new 3-car garage with a beautiful double-door overhead door and a secondary smaller door to the side. 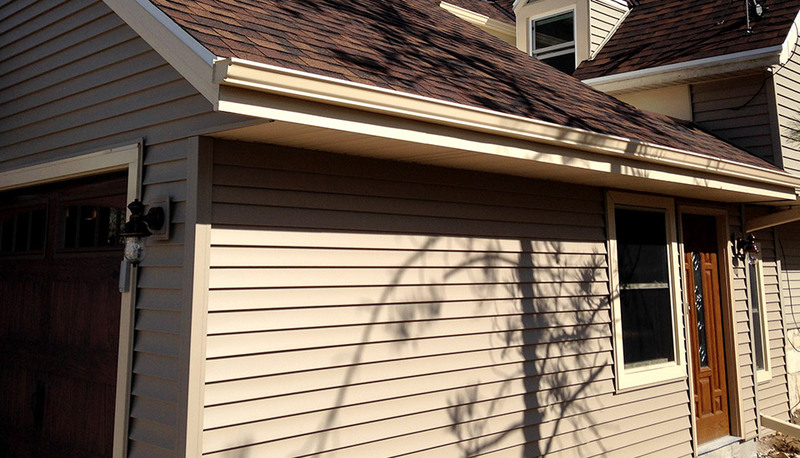 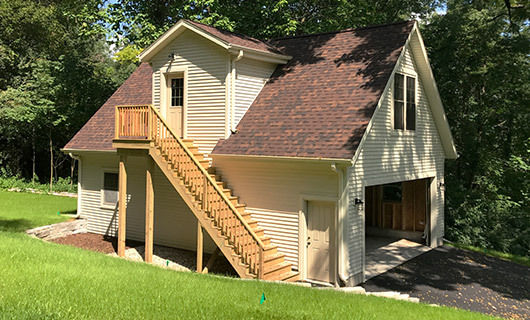 We added custom storage to the second floor and completed the structure with new windows, siding, trim, and exterior lighting. 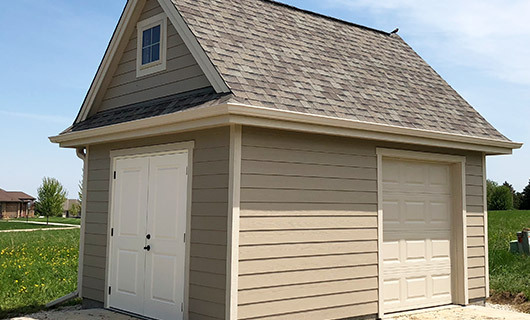 The new garage flows seamlessly with the existing home and has added both an interesting exterior feature and ample storage for the family.